The TEPCO Fukushima Daiichi Nuclear Power Plant accident of 2011 has shown us all the reality that nuclear power cannot be controlled. 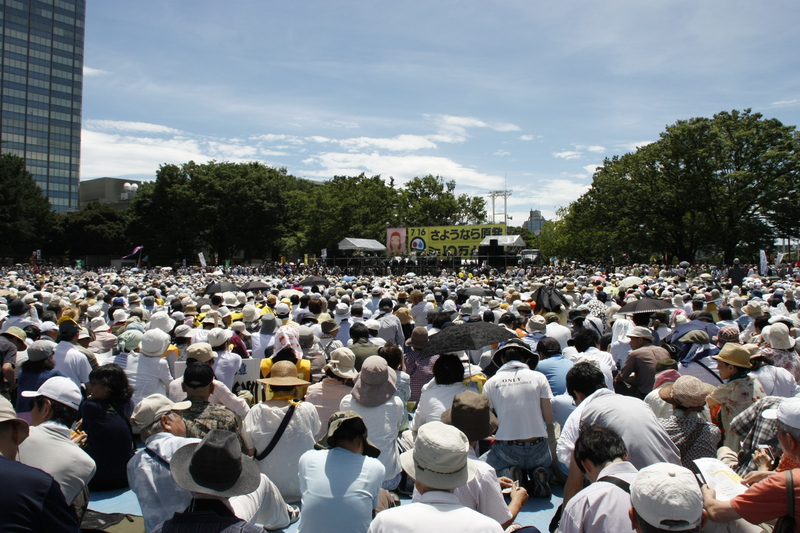 More and more people are now calling for a nuclear power free society, and the Japanese government announced in its new energy strategy the policy to aim for zero nuclearpower. However, various political and financial vested interests oppose this important step, and the Japanese general election scheduled for December 16, 2012 may further endanger this fragile commitment. The action of individual citizens is crucial in order to realize a nuclear power free society – and this will be possible if people from diverse backgrounds work together in cooperation. “Nuclear Free Now” aims to be one step towards the realization of this nuclear power free world, built upon the basis of utilization of renewable energies. 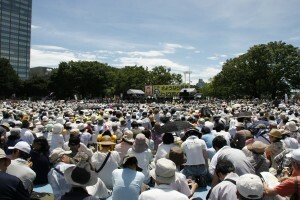 Nuclear Free Now is a series of international, participatory events that will be held simultaneously in Tokyo (Hibiya Park and surroundings) and Fukushima (Koriyama City) on Dec 15-16, 2012. See http://npfree.jp/english.html for details including the background, programme and how to participate in and support this series of events.